Florida, the “Sunshine State”, is full of kooks. The temperate climate, sandy beaches, “Stand Your Ground” laws, and a permissive pro-gun culture make it magnet for some of the weirdest characters in the country. Carl Hiaasen, Dave Barry and Elmore Leonard have made a handsome living incorporating “flakes” from this state in their tales. This is the home of George Zimmerman, who last week was arrested for the umpteenth time. And, it is the home of Terry Jones. After the shocking massacre in the Paris offices of the magazine Charlie Hebdo, an enterprising reporter from the Sarasota Herald-Tribune, Chris Anderson, wrote a fascinating investigative piece. The French editor of Charlie Hebdo, Stephane Charbonnier, was killed in the attack. He had been listed in 2013 as Number 1 on the al-Qaida hit list, as per the terrorist publication Inspire. So, who was Number 2? None other than the Reverend Terry Jones of Bradenton, Florida. You may recall this wing-nut, with the Hulk Hogan moustache, nearly caused an international incident in 2010 when he threatened to publicly burn the Quran in his Gainesville church. After he was personally called by Defense Secretary Robert Gates, he chose not to go through with it. He did, however, burn Islamic holy books in 2011 and 2012. In 2013 he was arrested for unlawfully carrying a firearm [ I did not know that offense existed in this state] and restrained from his goal of burning 2,998 Qurans in Mulberry, Florida. Since then, dear Terry has fallen on hard times. Anderson found him at his new place of business, the seedy DeSoto Square Mall. It seems Terry and his brothers, Gary and Kevin, are now peddling, of all things, french fries in the food court. Their kiosk has a sign over it that says, “Fry Guys Gourmet Fries”, and their super-sized offering, “Mountain of Fries”, sells for $5.99. Only in Florida, kiddies! The new Most Wanted al-Qaida guy is selling greasy fries. On a more serious note, the horrible attack in Paris has provoked a global discussion on the boundaries of freedom. What should be the limits of free expression and what are the consequences? Cartoons of nuns masturbating, and depictions of Jesus, the Pope and Moses in penile form were the “stock-in-trade” of Charlie Hebdo. The cover of the most recent Christmas issue, titled “The True Story of Baby Jesus” bore a drawing of a startled Mary giving graphic frontal birth to her child. Needless to say, the Prophet Mohammed also got his fair share of scabrous vitriol. My generation learned an important lesson about freedom. As the “shock troops” of the movements that exercised civil disobedience in pursuit of a cause, we also knew we had to live with the consequences. We had the freedom to cross the boundaries of lawful behavior to exercise our right to express ourselves, but we also knew we would face a roughing up and a trip to the hoosegow. We also learned that the sword of freedom had two edges. An important Supreme Court case, Smith v. Collin, 432 US 43 , affirmed the right of Nazis to march through the Jewish neighborhoods of Skokie, IL and exercise their rights to freely assemble. The ACLU intervened on behalf of the Nazi demonstrators. 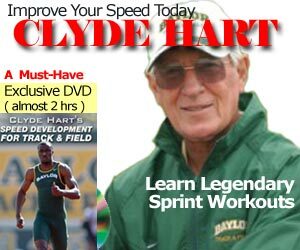 READ How Do You Determine the Worlds Fastest Man? How far is too far? And, should the consequences of mean-spirited bad taste include martyrdom? These principles also extended themselves to the current controversy over the recently released film, Selma. This historical drama is based on the 1965 Selma to Montgomery voting rights marches and describes the mood of the era. The director, Ava DuVernay, has been criticized by several former associates of President Lyndon Johnson for her portrayal of LBJ. They cite historical and factual inaccuracies and decry Johnson being depicted as an obstructionist. For her part, DuVernay has admitted to taking artistic license with history and stated she does not see herself as a “custodian of anyone’s legacy”. She went on to say that the movie is “…not a documentary. I’m not a historian. I’m a storyteller”. Clearly DuVernay has the right to tell the story in whatever way she chooses. She also must accept the consequences. Her artistic dalliance with factual history has apparently cost her the nomination for the Oscar’s Best Director. From time to time I also think of the consequences of my written words. I do write with a bent to be provocative. Occasionally I push the boundaries of good taste. My cousin claims that every week I sit in front of a keyboard dreaming of how many people I can piss off. I intentionally call this blog Shin Splints because I intend to be “mildly annoying”. 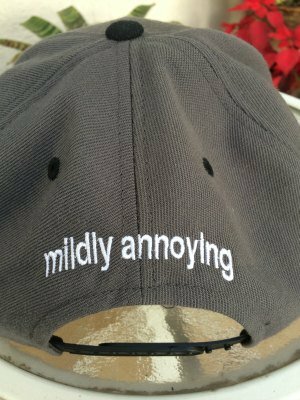 I have those words embroidered on the back of a cap. 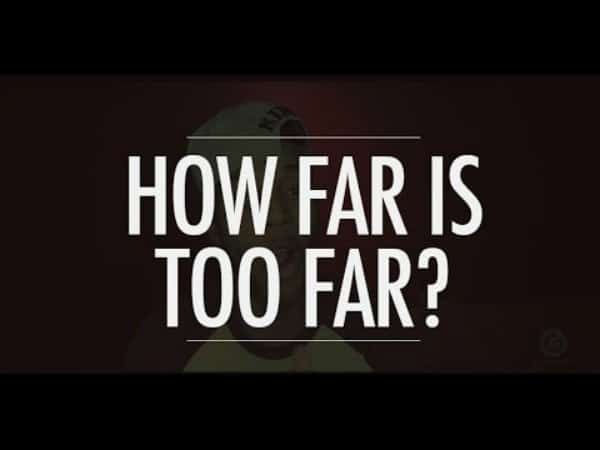 But, what if I went too far? What would happen? I have no intent to blaspheme the Prophet so I do not believe I will be in the crosshairs of an al-Qaida hit squad any time soon. I probably can rule out any prizes the equivalent of an Oscar or a Pulitzer anyway. But, if I go too far will I wind up selling french fries in the DeSoto Square Mall?